What is the FMI Model Expo? FMI Model Expo provides the opportunity for you to be seen by 20 of the best modeling agencies in the world. FMI select applicants based on their potential to become a model. Agencies attend the Model Expo because they trust our ability to discover new talent. Call back announcements on stage. *Please note the agenda and the attending agencies are subject to change without notice. For reservations click here or call (+1) 212 883 1234 to book. 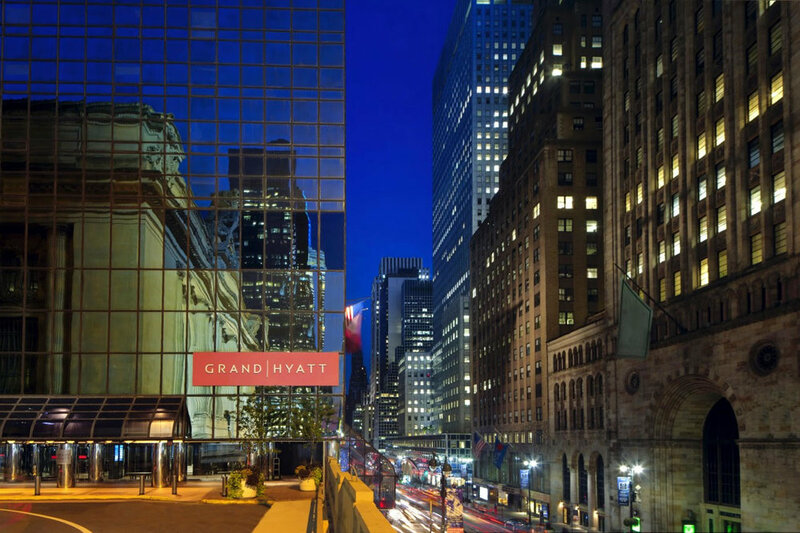 We have an exclusive hotel rate with the Grand Hyatt New York for our attendees and guests. To take advantage of this rate, please call the reservation number at +1 (212) 883-1234 and tell them you are attending the FMI Model Expo. Please note that there are no refunds after registration for the Model Expo. All fees are final. You will receive a confirmation via email within 30 days upon your on-line registration. Why attend the FMI Model Expo? We are passionate about the industry and giving you the education and opportunity to become a working model. We want everyone to have a great experience at our Model Expo. We are a “Mother Agent” here to help you and your family manage your entry and career in the industry. We treat all participants and their families with care. As a family run business, we attend all of our Model Expo and are available to speak with you in person. Whenever you contact FMI, you will always speak to one of our directors personally. We are always honest and make no promises that you will be signed to an agency at our Model Expo. It is very competitive, but we do give you the best opportunity to be seen by the top agency directors in the world. The top modeling agencies are in New York, and it is difficult and expensive to fly here hoping that they will consider you on the spot. Agency directors know our success rate and come to our Model Expo with the goal of signing new talent. Participants are sometimes signed at the time of the Model Expo. Other selected participants may be contacted later on after the event. We have a high percentage of discoveries being placed with the top global agencies attending our Model Expo such as; DNA, Elite, Ford, IMG, The Society, Ford, JAG, Marilyn, Muse, Next, Women and Wilhelmina. We are always available to talk with participants and their families who would like guidance and advice. There is a registration fee to attend the FMI Model Expo, and your FMI representative will provide all details on cost to register. All of your Model Expo event costs will be stated up front with no hidden fees. You must cover the cost of your hotel and transportation to and from the event, including any meals and beverages during your stay. Full payment must be made prior to the Model Expo. Please note that there is no refund for the registration. It is not necessary to bring or pay for any type of portfolio, book or photos. To attend our Model Expo, you are not required to enroll in any type of modeling school. We are actual model scouts who travel throughout the country to find people that have the real potential to model. FMI is the premier model scouting company in the industry. We have placed over 350 models with the top agencies in the world. FMI has carefully nurtured our relationship with each modeling agency. Some of our relationships are over 20 years strong and continue to grow as we work with the directors about their ongoing and changing needs in order to place talent with the best agency. If you are under the age of 18, please have your parent or guardian contact us to attend our interviews or register for our events.